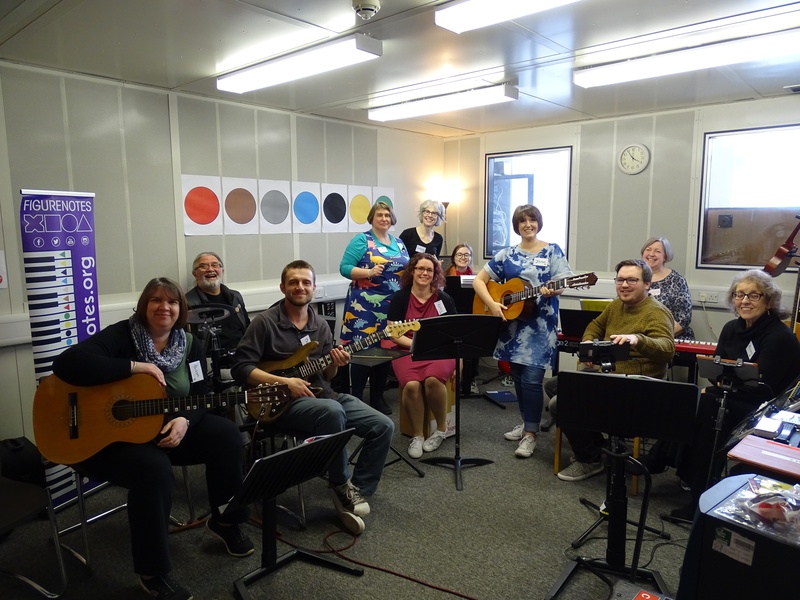 We are thrilled to announce the programme for our upcoming Music Teachers Toolbox on Saturday 23rd March 2019. This time around, we will be focusing on Creative Sessions involving Early Years/Primary/ASN and how best to support your participants brand new to Figurenotes in a variety of engaging ways. We will also be incorporating pieces from our collaboration with the fantastic BBC Ten Pieces. Why not take a look at some of the resources BBC Ten Pieces have available online. Although there will be an emphasis on Early Years and Primary, there will be something for everyone regardless of the age and stage of your users. If you have been to our training days before, or your participants are older, do not fret. We will provide a fun filled day of activities where you will learn news skills and refresh your current knowledge, providing you with new and exciting ways to incorporate Figurenotes into your setting. Our training day will also include networking activities and a help desk where you can speak to an experienced member of the Drake Music Scotland team. You can seek advice on all things Figurenotes, technology, progression and general teaching advice. 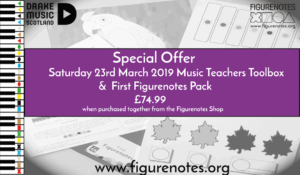 *Special Offer* – Purchase Our Upcoming Music Teachers Toolbox Training Day and Receive Our First Figurenotes Pack for only £10.00!!! 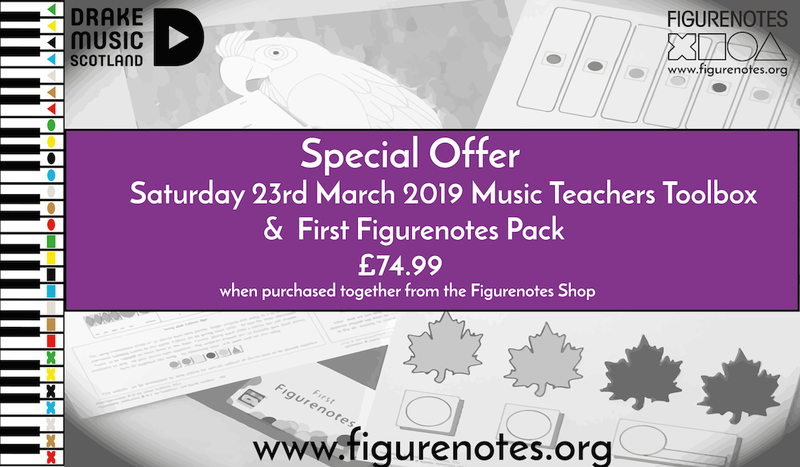 Visit the Figurenotes Shop for more details. Here is a brief rundown of the proposed programme for the day. 9:30am Coffee & a Chat – Come in and meet the rest of the Music Teachers Toolbox participants over coffee/tea and biscuits provided. 10am Welcome and Warm up – Join us in getting to know each other and warm up with some fun activities. 10:45am What is Figurenotes? – Anyone can use Figurenotes and get instant results! Find out what Figurenotes is all about and where it came from or refresh your memory if you are returning. 11:00am BBC Ten Pieces – An interactive session looking at some pieces from our collaboration with BBC Ten Pieces. 11:50am Creative Session – A series of exciting activities based around our SPACE theme! Fun for you and the classroom. 12:50pm Lunch, Networking and Help Desk – We will break for lunch and you will have a chance to stretch your legs, get to know each other some more and take advantage of our help desk where we will offer advice and aim to find solutions to any issues. 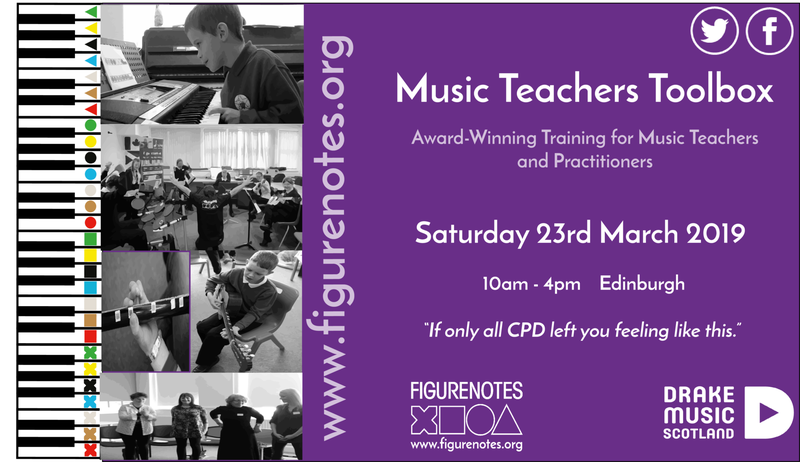 2:00pm First Figurenotes – A little look at some activities you can do using the First Figurenotes Packs and more. 2:45pm Play Together – An opportunity to try out what you have learned and get everyone playing. 3:45pm Q&A – A chance to ask any questions and tell us how you have felt about the day.